The famous cartoon beagle got his own star on the Walk of Fame today, right next to his creator, Charles M. Schulz. Schulz’s son Craig congratulated Snoopy (that is, someone in a Snoopy suit), saying, “Today, Snoopy, you’ve made it!,” People reports. 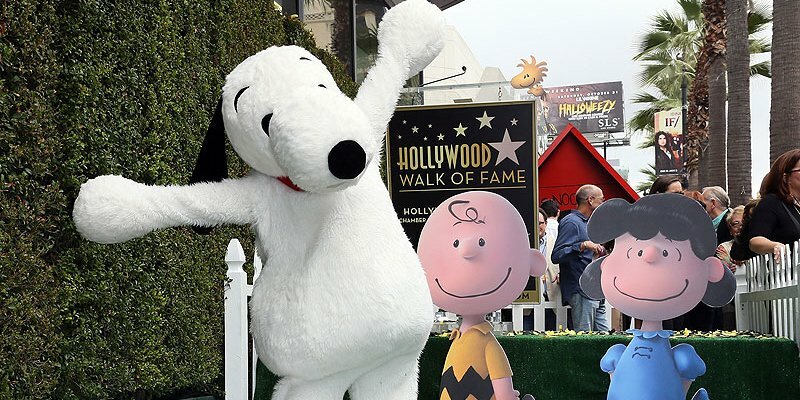 Snoopy’s star is at 7201 Hollywood Blvd. “The Peanuts Movie,” the first feature film featuring Charlie Brown, Snoopy and the rest of the gang in 35 years, opens this Friday, November 6.